The Leader in Cancer Care. At New York Oncology Hematology, we focus solely on the treatment of cancer and blood disorders. This allows us to provide our patients with personalized, expert care, advanced treatment options, and specialized support programs. With our six convenient locations in Albany, Albany Medical Center, Amsterdam, Hudson, Troy, and Clifton Park, we are able to schedule treatment and visits around work and family, so you can continue living your life. All six of our locations offer free parking, front door drop-off, and in-office medication dispensing for added convenience. 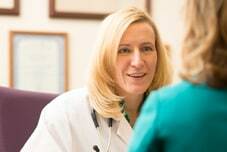 Our team of 32 physicians and 350 cancer care specialists is the largest in the area, with expertise in medical oncology, radiation oncology, hematology and neuro-oncology. We are affiliated with every major hospital in the area, and through our participation in The US Oncology Network, NYOH physicians and patients have played a vital role in the research and development of 39 FDA approved cancer drugs. At NYOH, we know every patient’s journey is unique. And we are ready to provide you with the information and support you need, every step of the way. In this section, we’ve provided helpful resources to prepare for your visit and learn more about what we offer.